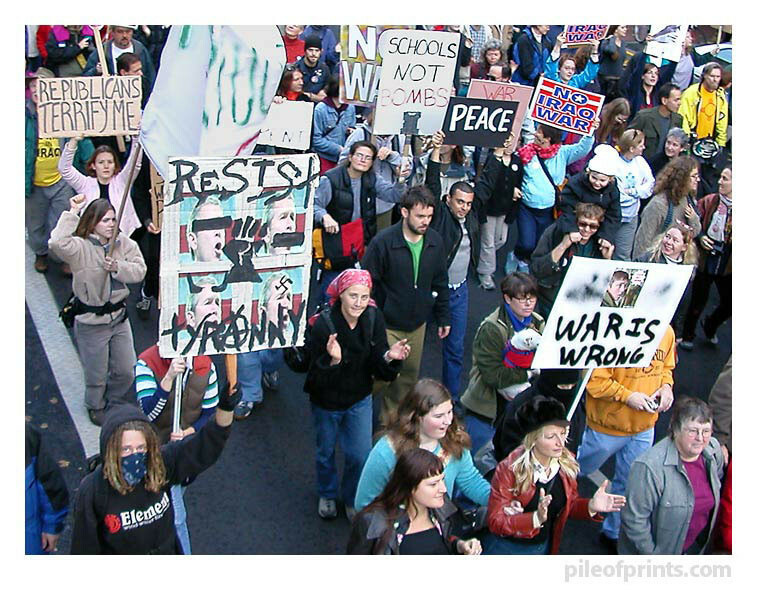 How do you take pictures of a protest without taking yourself out of the protest? 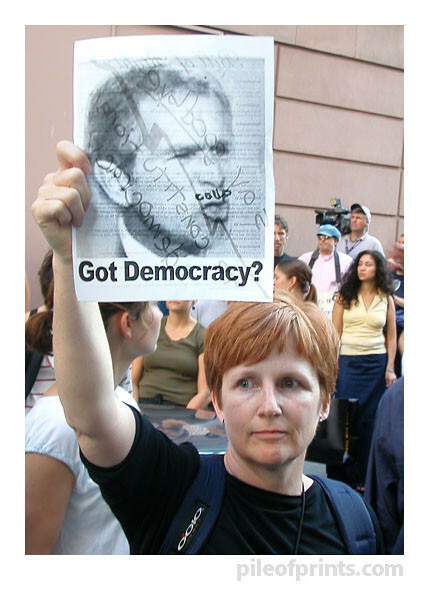 I bought a small digital camera a few days before this 8/22/02 protest. 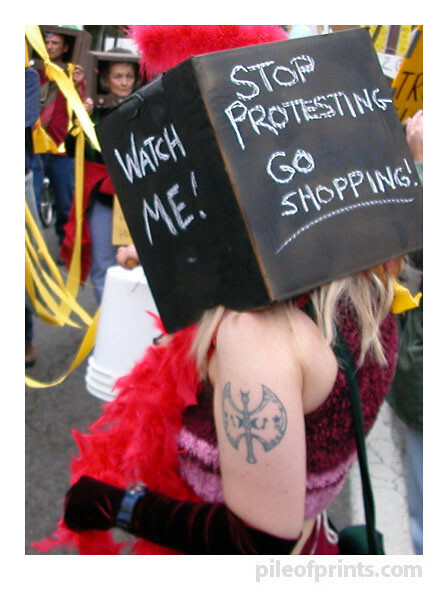 In addition to posting my first indymedia photo story that evening, the text of my protest sign made it into a CNN dispatch. That the police soaked the left side of my face in pepper spray only made that first digital outing's fusion of participation and documentation more magical. 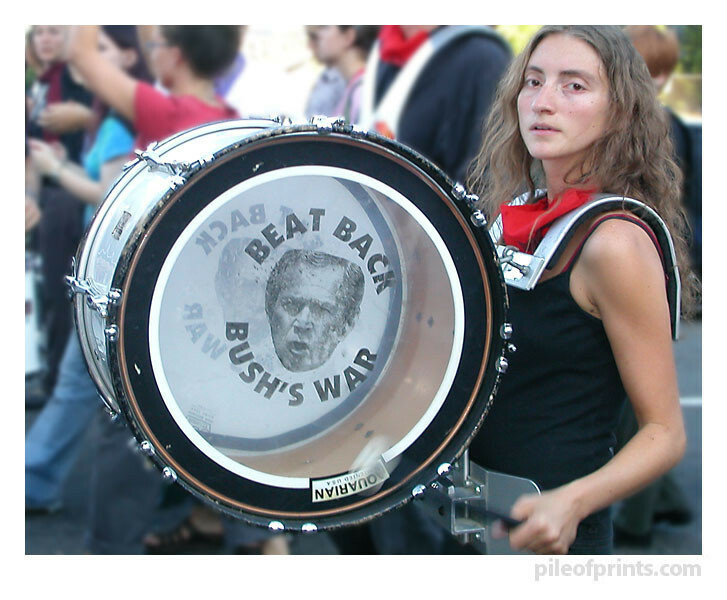 Known locally simply as "a22," this was the first post-9/11 Bush protest to get nationwide coverage. 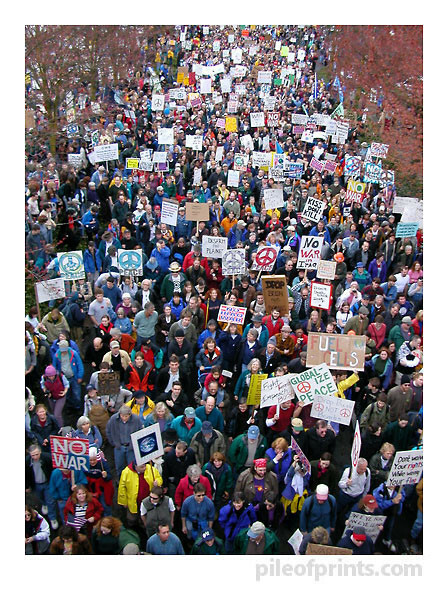 After that first successful protest I stopped carrying a sign for a while to better concentrate on my photography. As I snapped this uninspiring shot the cops and the protesters were both yelling at me to get down off the truck and join the march. Even though I always made flyers like this one to pass out to bystanders, my thirst for images became so great that I felt like I was turning into just another digital sponge. This family's protest tableau inspired me to try using street theatre to regain an equilibrium between participation and documentation. 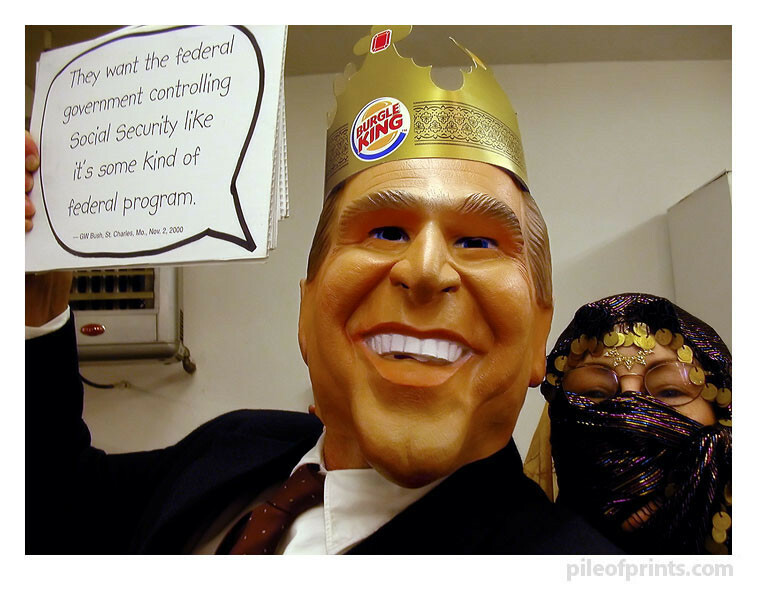 Dressed up as the "Burgle King" for Halloween, I held up a Bushism cartoon caption in one hand while occasionally snapping a shot of myself with the camera I held in the other hand. 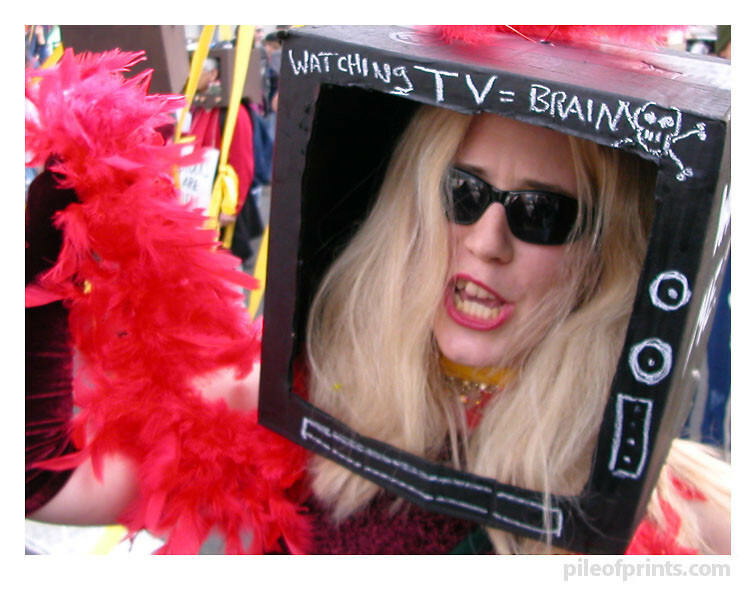 While the Iraq war launch was receiving rave reviews from all the television commentators I signed up as a DNN (Death News Network) talking head. 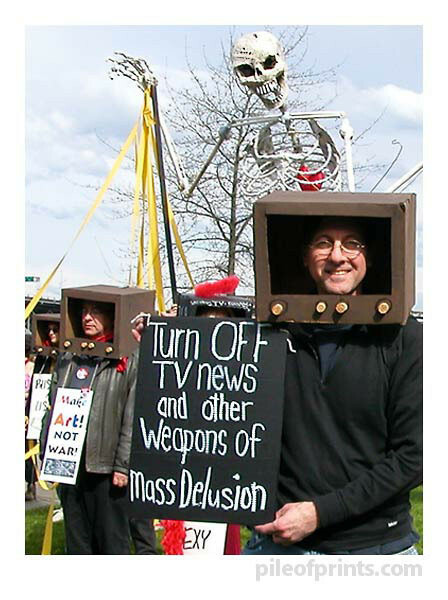 Between commercials our real TV talking heads were showing dramatic "shock and awe" video as they enthused about the precision and humanity of the modern American bomb. 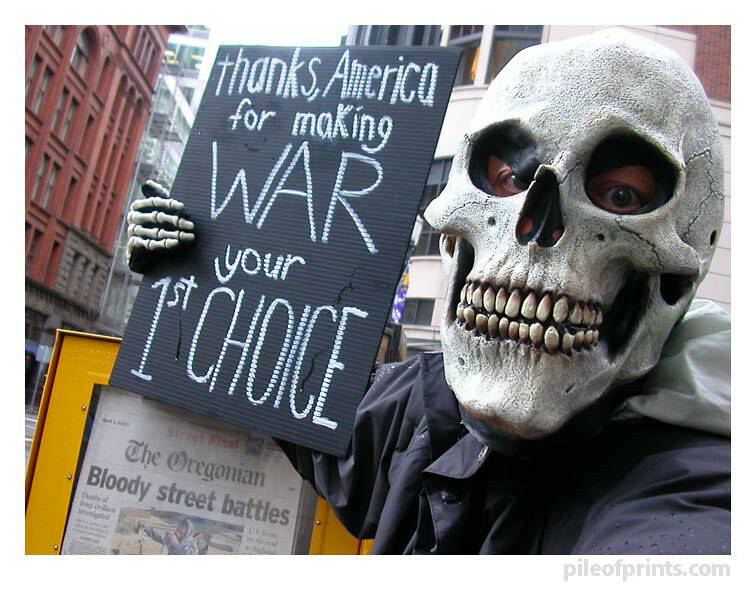 Our blonde star pundit was more direct, "Bombs are dropping, keep on shopping." 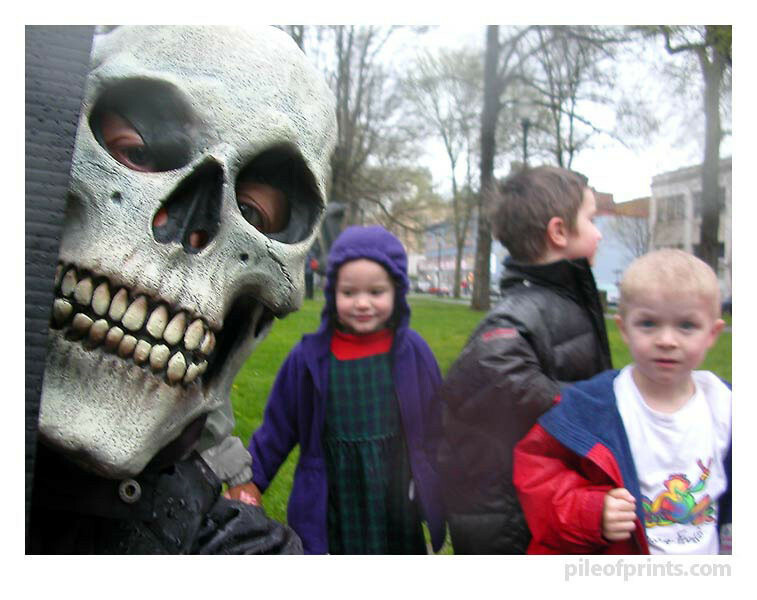 A journalist told me that he liked the last of these skeleton images until he read in the captions that it was a self-portrait. 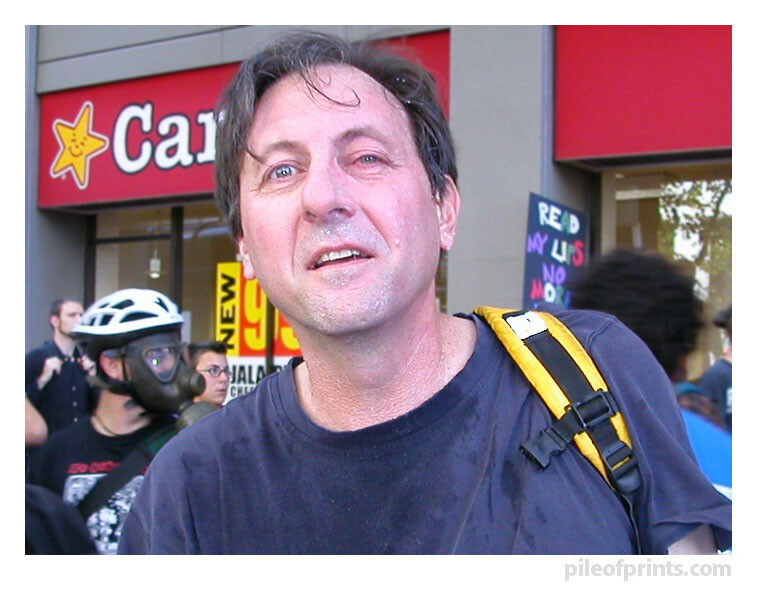 Then he cringed because, "there's a huge moral argument about 'documenting' something you have a stated interest in." 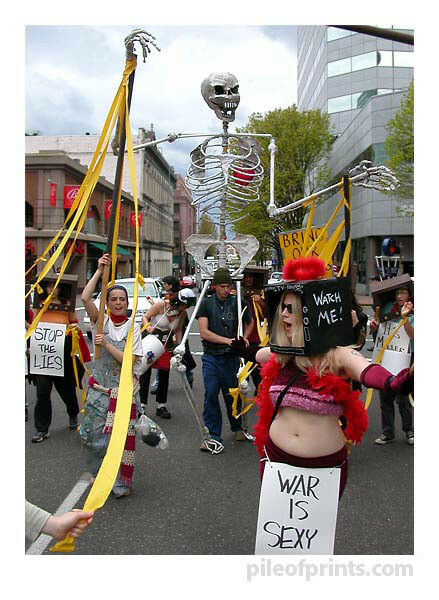 Appendix This photo was added at the request of Andy who was one of the individuals taking part in the protest that took place on i-5 the night following our invasion of Iraq. 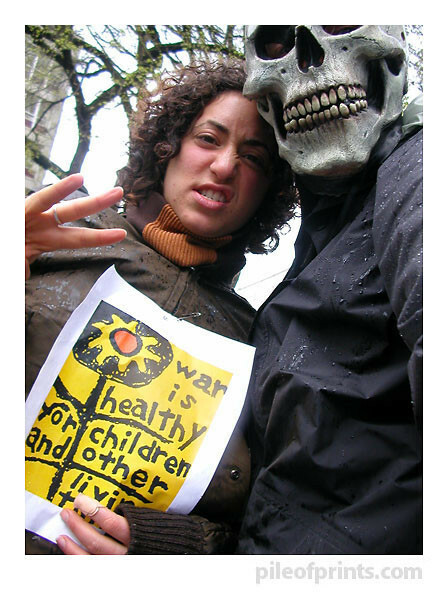 That action was called "When the bombs drop, Portland stops." 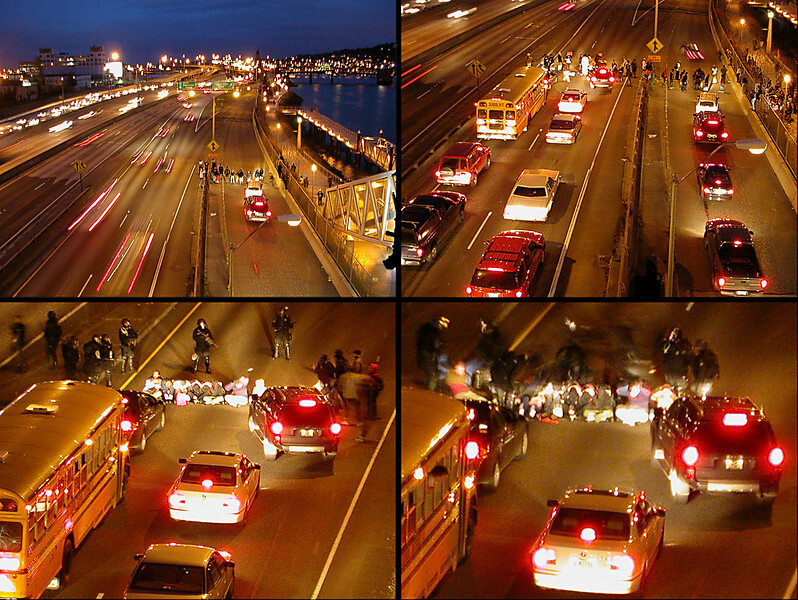 Traffic was temporarily stopped on all the freeways that slice through downtown Portland. Burnside, the city's major blvd. was closed the entire night.